On an oil platform in the North Sea, the fabric maintenance team - who is responsible for maintaining the integrity of the platform - was working to remove corrosion and failed coating from gas lines within the gas compression module. The team also planned to recoat them. The gas lines had exceeded the fabric maintenance strategy intervention levels and were beginning to show areas of material loss. The work would have traditionally required a shutdown period and had been outstanding since 2010. The scope of work had been deferred from previous shutdown periods due to the potential of grit ingress damaging open, sensitive and rotating equipment within the module. 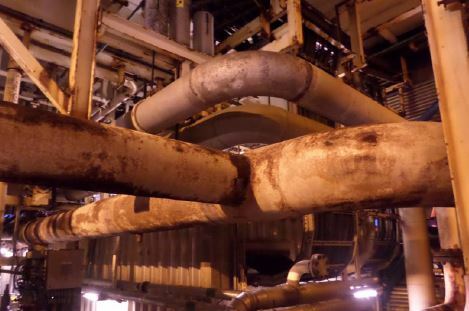 If corrosion is not handled appropriately, there is a potential for unsafe work conditions and even vital equipment failure, which would cause the platform operations to lose time and money as they await repairs. 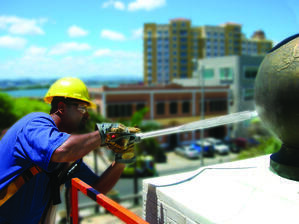 Traditional cleaning techniques, such as media blasting and high pressure water systems, present several disadvantages that add costs and time to the project. These methods create waste that is unsafe to breathe and has to be gathered and removed upon project completion. The blast media and the secondary waste can damage mechanical and electrical equipment so this machinery must be shut down prior to the blasting. Debris from blasting can become clogged in air intakes and potentially cause damage to rotating equipment, especially around sensitive areas, such as the gas compression module. For certain complex areas, the time and labor cost involved in erecting and dismantling scaffolding and encapsulation can outweigh the rest of the project cost by a significant margin. Encapsulation must be planned, assembled and then disassembled, blast media and the secondary waste must be gathered and disposed of and, once blasting is complete, the area must be given time to dry before re-coating. These methods are abrasive and can damage the substrate or reduce metal wall thickness. This contributes to reducing the life of expensive assets. The fabric maintenance team began to review dry ice blasting as an alternative cleaning process and research recent projects that have used the technology on other platforms. The results of those projects gave the team confidence that it would be a fit for their platform. The team contacted Dry Ice Global (DI Global), a company that specializes in the rental of high performance dry ice production and blasting equipment, and began to pilot dry ice blasting. Dry ice blasting uses non-abrasive media in the form of recycled CO2 pellets that will not damage surfaces or equipment. The combination of dry ice cleaning’s kinetic energy and thermal effect breaks the connection between the dirt and surface, lifting away contaminants. The fabric maintenance team was very pleased with the results of the project. Dry ice blasting removed the light external corrosion from the pipework and the area was immediately able to be re-coated. The team saved 1,000 man hours, or 125 man days, from the shutdown schedule as the work could be performed during live operations. Due to the man hours saved on scaffold assembly, encapsulation, masking up, day-to-day clean-up, final clean-up, scaffold dismantling and removal of all sheeting protection. Added benefits included productivity levels of 4 - 5m2 (43 - 53ft2) per hour. On another similar project, dry ice blasting formed part of a fabric maintenance campaign used by the existing fabric maintenance contractor. 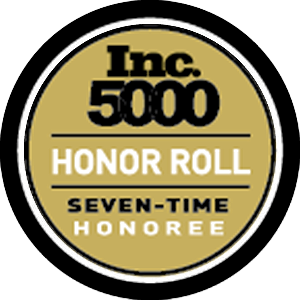 This brought nearly 300% gains in productivity and a 65% cost reduction compared with traditional methods. Dry ice blasting delivered a consistent anchor profile of 70 – 110 um with SA2.5 cleanliness. Site trials have shown a 90% reduction in waste when compared with traditional methods while maintaining similar trigger time productivity. 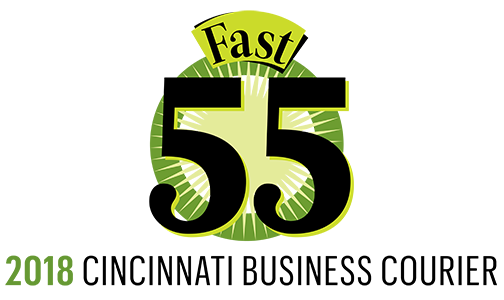 This means that users can enjoy the time and cost savings by removing encapsulation and reducing clean up. Salts and other soluble contaminants were also able to be removed with no need for a water wash. The system used by the fabric maintenance team is a fully integrated, transportable product that makes dry ice production (with a built-in pelletizer) and high pressure blasting (with a specifically modified dry ice blaster) possible in remote locations for extended periods of time. The specifically modified dry ice blasters used by the team are ATEX rated for Zone 1 applications and can be deployed in both offshore and onshore environments. The aggression level can range from gentle cleaning to more aggressive blasting for fabric maintenance applications. Download the case study for further information on the machine and safety specifications. 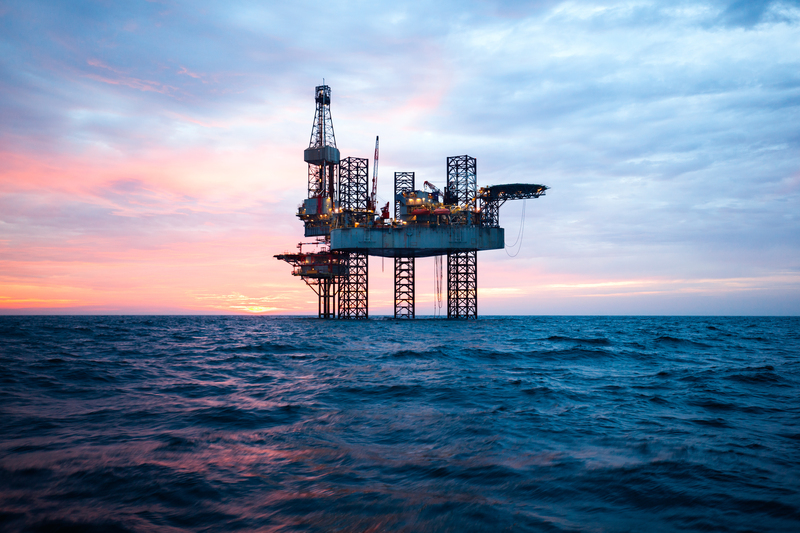 On an offshore oil platform, dry ice blasting removes heavy corrosion and defective coatings from pipework with minimal disassembly, no drying time, reduced encapsulation and waste disposal. 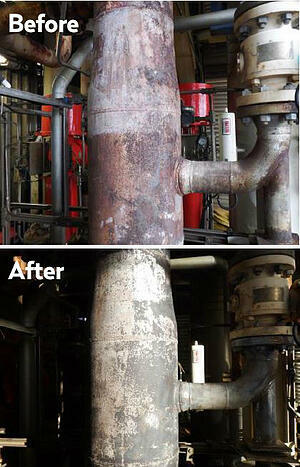 The benefits of dry ice blasting lead to costs and time savings, while also increasing overall productivity. The surface can also be immediately recoated because it is left completely dry.